Meet Charlie the Nash Knight, our Charles W. Nash Elementary School Mascot. 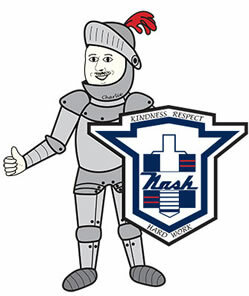 Charlie is a friendly knight leading the crusade to instill virtues of KINDNESS, RESPECT, AND HARD WORK into all members of our Nash School Family. 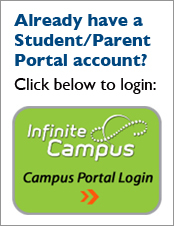 He continually reminds us that it is only through hard work that we will realize our potential as students, staff members and parents. Thus, the work ethic displayed among members of our Nash School Family is second to none and has become a Nash School Family trait in which we all take great pride. He also reminds us that by consistently treating one another with kindness and respect we will make many friends, enjoy abundant happiness, and maintain a safe, productive learning environment. It doesn’t take long for visitors to feel and appreciate our joyful, sincere, and welcoming atmosphere.